The Manfrotto 055XPROB makes the famous Manfrotto-patented horizontal centre column feature even easier to use. By extending the column to its highest vertical position, it can be swung round to horizontal without removing the head or disassembling the column itself, so switching between framing and positioning setups is more convenient than ever. 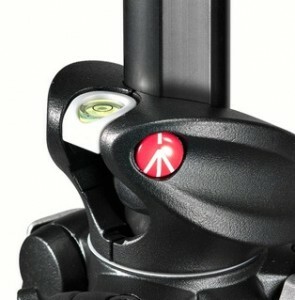 The ergonomics of the leg angle release mechanism and the quick action leg locks themselves have also been greatly improved. Popular Brands Canon, Nikon, Gopro, Sigma, Tokina, Manfrotto, Slik, Vanguard, Benro, Lowepro, kata, national Geographic, Gitzo, Sandisk, Marumi, Hoya, Kenko, Savage, Elinchrome, Photopro, Blackrapid, Spyder Monitor calibrators, Datacolor, joby, Gorillapod, goPod, kenko, Tamrac, Pelican, Lilliput, Sony, kodak, Fuji, Panasonic, Olympus, samsung Popular Products Digital Cameras, Dgital SLR cameras, SLR Lenses, SLR LENS FILTERS, DSLR Accessories, Camera Tripods, Camera bags, Rain covers, Extension tubes, Lens reversal rings, Camera Straps, Clamps, bean bags, bean pods, lens cleaning kit, Body armour, Convertors, Filters, ND filters, UV filters, CPL , Studio Lights, Studio lighting equipments, photography lights, Monopods, Camera Supports, Mounts, Ball heads, Camera plates, digital camera battery, Battery grips, Flashes, flash diffusers, Softbox, Light stnads, Umbrella, reflectors, 5 in 1 reflectors, Honey comb, DSLR rigs, and many many more T.R.GAUBA DIGITAL CAMERA DEALER DISTRIBUTOR, CAMERA ACCESSORIES PHOTO EQUIPMENT IMPORTERS IN INDIA. Gabba photo, Gaba digital, Ghaba photo equipment, Ghabba tripods and camera bags, Gabha Memory cards and equipments , pro camera dealer in Delhi, professional camera accessories, professional camera store in delhi, Lowest price in India tripods, bags , straps, filters, flashes, flash accessories, monopods, sandisk memory cards, monitor calibrator, canon camera dealer, Nikon Camera Dealer, find MRP and lowest price in India, 140- Near gate no-3 Palika bazar Connaught Place, New Delhi-110001.